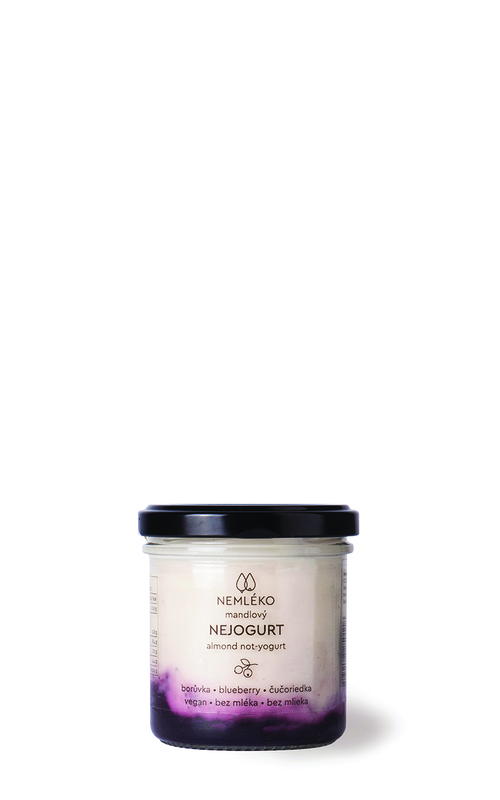 Blueberry Nejogurt is favoured with prime quality blueberry jam sweetened only with apple juice and thus contains no sugar. And the blueberries in it? Of Czech origin, of course. Composition: almond beverage (filtered water, almonds 20%, dates), bilberry jam selection 16% (blueberries 49%, concocted apple juice, agar), tapioca starch, live yoghurt culture (S. thermophilus, L. acidophilus).